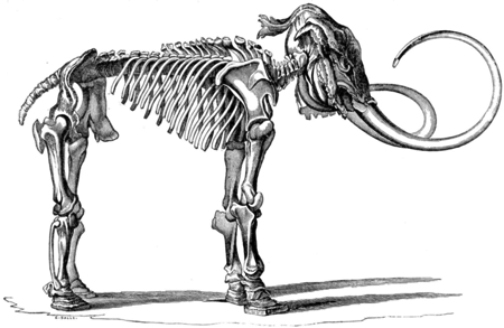 Can biotechnology bring back extinct species? If it can, should it? 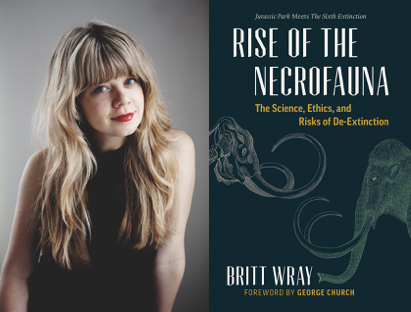 In her new book Rise of the Necrofauna, Britt Wray chronicles the nascent movement to bring back extinct species. 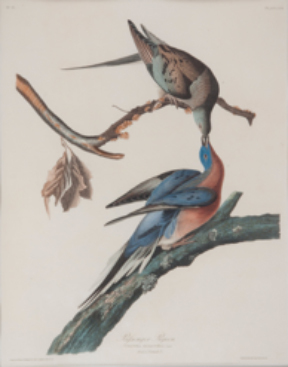 She calls these resurrected creatures “necrofauna”, conjuring images of undead mammoths, passenger pigeons, and more. As compelling as the idea of necrofauna is, we will not be seeing them any time soon due to immense technical challenges and small budgets. But even in its infancy, the field of “de-extinction” is brimming with thorny ethical questions. These dilemmas are the real focus of the book. Left: Britt Wray; photo: Arden Wray | Right: Cover of Rise of the Necrofauna; Image: Greystone Books. Would changing the axiom that “extinction is forever” instill new hope for conservation, or make us more blasé and undermine other efforts? How authentically can we recreate extinct creatures? For whose benefit are we doing this, and will anybody profit? Will other animals—close relatives used for cloning, or competitors and prey in the wild—suffer as a result? Or will restoring key species bring a cascade of positive changes to their ecosystems? Will we be able to prevent de-extinct animals from going extinct again? Proponents say that restoring what humans have rendered extinct is not only the right thing to do, but that bringing back the right species will cause a chain reaction of positive changes in vegetation, nutrient cycling, and ecosystem function. Detractors argue that adding biotechnology to the catastrophic risks of species introductions should make de-extinction a non-starter, and that it’s a huge waste of resources driven by human vanity. Others fall in between, or aren’t sure what to think yet. Wray’s attempt to come to grips with these issues is interwoven with her skillful description of the science and interviews with colourful personalities. On the topic of extracting DNA from amber (likely impossible, but don’t give up hope quite yet), Wray talks to paleogeneticist Hendrik Poinar, whose father wrote the paper that inspired Jurassic Park. She talks to Sergey and Nikita Zimov, the father-and-son team behind Pleistocene Park, about the impacts of large herbivores – not just mammoths, but also bison, muskox, horses, and wapiti—on vegetation, permafrost, and methane emissions in the Russian steppe. Then there is Ben Novak—the young lead scientist of the Great Passenger Pigeon Comeback who occasionally answers video calls with his face covered by a pigeon mask. But he also has a fascinating explanation of why cloning birds is so much more difficult than mammals. Birds don’t have uteruses; instead of implanting, the embryo moves along the oviduct like a conveyer belt. This makes it very hard to insert DNA at the right stage of development. Resolving this and other complications of bird cloning means that this project is advancing knowledge, not just reviving extinct creatures. Although Wray is careful to include opposing points of view, I found that the pro-de-extinction side got more ink on the page, probably because it took more space to explain the science and the scientists’ backstories. I also found the author’s extensive ‘stage setting’, particularly the circumstances of her meetings with her subjects and what they were wearing, to be somewhat grating. The most disappointing thing about the book, however, was the foreword by George Church. While adding the name of such a famous researcher may be good publicity, the foreword’s brevity and reliance on an over-dramatic analogy for de-extinction creates the impression that the field is more hype than science. Considering how speculative the headline-grabbing projects such as de-extinct mammoths and passenger pigeons are, the question of hype is very important. Wray makes clear that some of the science is established enough to have concrete applications. For example, gene editing is useful for removing population bottlenecks and creating resistance to wildlife diseases, and cloning can be useful in breeding programs for nearly extinct animals. 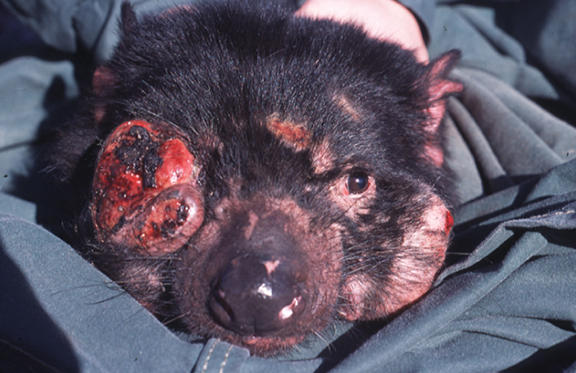 Genetic studies of Tasmanian devils, which suffer from deadly contagious tumours, have been instrumental to understanding disease resistance, and may help drive a cure. A consensus is emerging that future discoveries will not let us authentically re-create long dead species due to irretrievable mitochondrial DNA, epigenetic changes, and, most crucially, environmental factors and behaviours learned from parents. There are ethical guidelines for bringing back “proxies of extinct species”, and the legal situation is surprisingly well-developed. Restored animals would be covered by biotech regulations, endangered species regulations, or, more likely, some (potentially contradictory) patchwork of both. While endangered or recently extinct species are best positioned to benefit from de-extinction science, the distribution of these benefits is prone to human whims. Even more than conservation biology, de-extinction tends to focus on “charismatic” animals and ignore everything less iconic. In addition to the financial and human resources de-extinction will consume, the lack of any projects to restore invertebrates_which constitute 97% of animal species—implies that direct biodiversity benefits will be extremely limited. The distribution of scarce resources is just one of many points of contention. In anticipation of this brave new de-extinct world, public consultation is key. Fortunately, the people involved take this responsibility very seriously. Ryan Phelan, one of the cofounders of Revive & Restore, explains her position: “As opposed to the precautionary principle, which says do nothing because you don’t know what the unknown consequences are, we say, use cautionary vigilance with transparency and responsibility.” This has led Revive & Restore to embrace open science, with a website that describes the progress to date on various projects. Still, open consultation will be very, very difficult, as both conservation biology and synthetic biology grapple with widespread public misunderstanding. And while these projects are so speculative, it’s only those with strong opinions who will make themselves heard. If you want to join that conversation, Rise of the Necrofauna is a good place to start. If you would like to learn more, listen to Wray talk about de-extinction in the CBC Ideas segment “Undoing forever: The implications of de-extinction”. Biology and Life Sciences, Communication, Education, and Outreach, Environmental and Earth Sciences, Health, Medicine, and Veterinary Science, Policy and Politics, Science in Society, Technology & Engineering Ben Novak, biotechnology, Britt Wray, cloning, de-extinction, DNA, ecology, ethics, Hendrik Poinar, invasive species, necrofauna, Nikita Zimov, passenger pigeon, Pleistocene Park, Robert Gooding-Townsend, Ryan phelan, Sergey Zimov, species introduction, Tasmanian devils. permalink.